Sean began pursuing his love of wine seriously in 2011 after nearly a decade in the hospitality profession. In 2012 he passed the WSET Intermediate and Advanced certifications before moving abroad to work and study. He returned to Vancouver in 2013 with a new goal of passing the Master Sommelier xamination. From 2014 to 2018 he was in charge of the wine program for the internationally renowned Vij’s Restaurant. While there, Vij’s Restaurant was awarded Platinum at the Vancouver Wine Festival Wine List Awards of Excellence in 2016, 2017, and 2018 and in 2017 was named one of Wine Enthusiast Magazine’s Top 10 Wine Restaurants in Canada. In 2016 he passed the Advanced Sommelier Examination on the first attempt to become Western Canada’s youngest Advanced Sommelier. 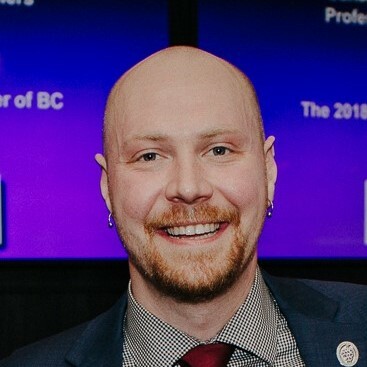 In 2018, Sean was crowned BC Sommelier of the Year by the Canadian Association of Professional Sommeliers. He now works as part of the wine team for the five-time winner of Best Upscale Restaurant in Vancouver, Hawksworth Restaurant. He also consults for private clients through his company Somm Wine Guy Consulting.